I think there are many considerations as to what exactly goes into a company’s social strategy, however I find that a good solid start can begin with three things: audience, material and the why? This example can also go for the content. You want to make sure what this company is posting about is something relevant to not only the company, but also the audience. It would be a waste of a post that should only be updated a few times a day to ask what is everyone is doing, or if they like chocolate? None of these things will truly get a followers’ attention, give any valuable information to them or make an opinion. 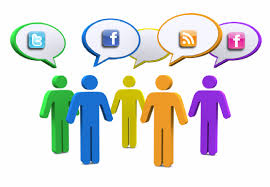 They should use their limited posts enriched with useful information and a visual or link! Lastly, probably most important would be the why? Any company can push out information online to their followers, but why the posts that are relevant will truly get that brand loyalty with the customer and keep them coming back! Leah- I agree with all of the points you mentioned. The content should be relevant to the audience in order to increase engagement with the brand. Great content also needs to be shareable and intriguing for the target audience. Great post! Leah, I like how you mapped out social strategy in three simple steps. It’s a good way to inform others that it all starts with understanding why the brand is posting content in the first place. Engagement through these platforms with relevant content allows for a great consumer relationship with the brand and its consistency. Leah, great post. I love the third point of “the why.” I think it’s such a simple concept, but often overlooked by marketers. It seems like so many people think that asking who likes chocolate is okay “because their followers must like chocolate.” Well, so does everyone else’s followers, the point of why ensures that community managers are justifying every piece of content pushed out. Awesome! I like that you focused on the audience. For brands, social strategy must focus on the consumer and be sure that everything is centered around meeting their expectations. Good job at pointing out the importance of knowing your audience, knowing what trends are hot and understanding what they are talking about. Leah – Great post. Nice, simple concept. I like it! I definitely agree with “the why.” Brands need to establish why they’re on social media, and why they’re posting what they’re posting. Otherwise, their posts could be misguided, and not as impactful.